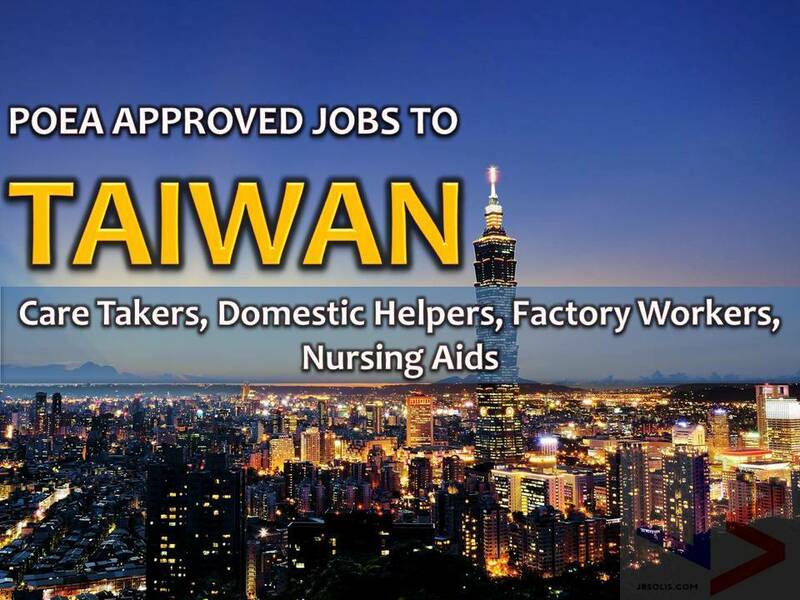 Hundreds of jobs for a COOK, DRIVER, WAITER / WAITRESS is being opened for Filipinos in different countries abroad. 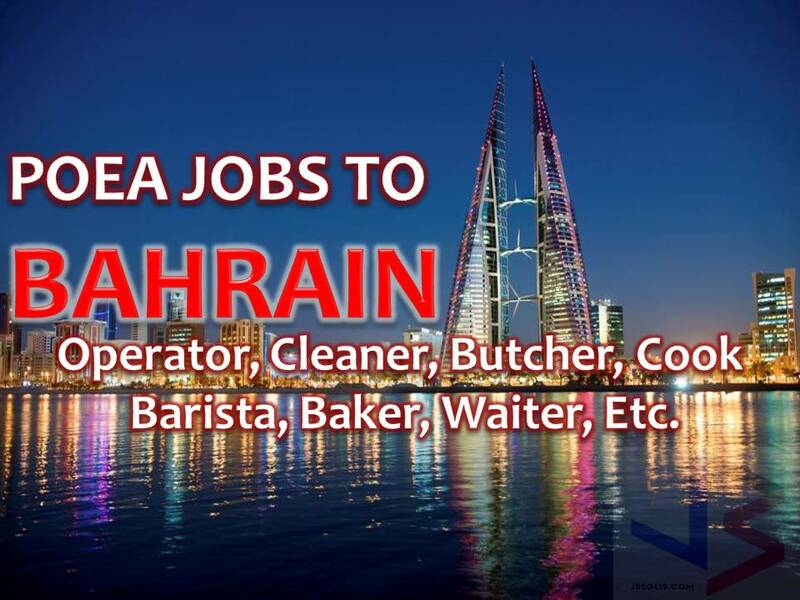 Countries such as Saudi Arabia, Kuwait, Bahrain, United Arab Emirates, Oman, Qatar, Oman and Australia. 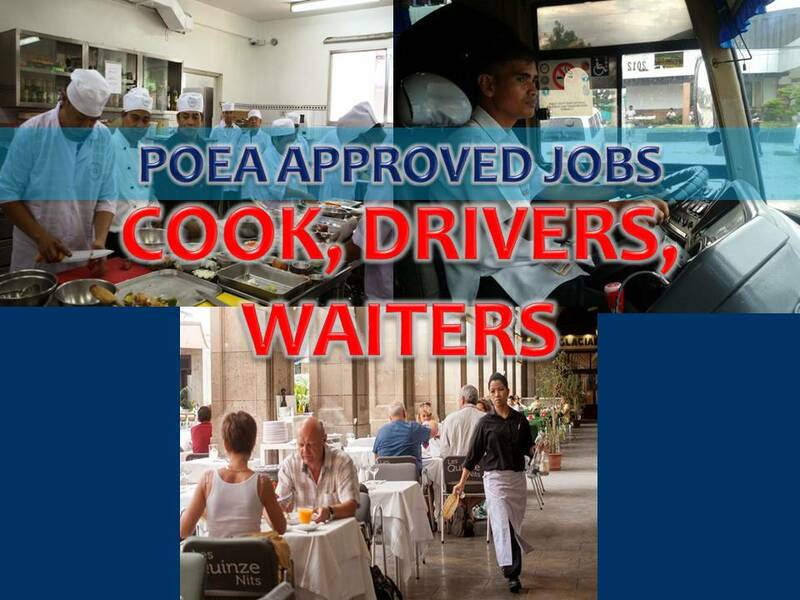 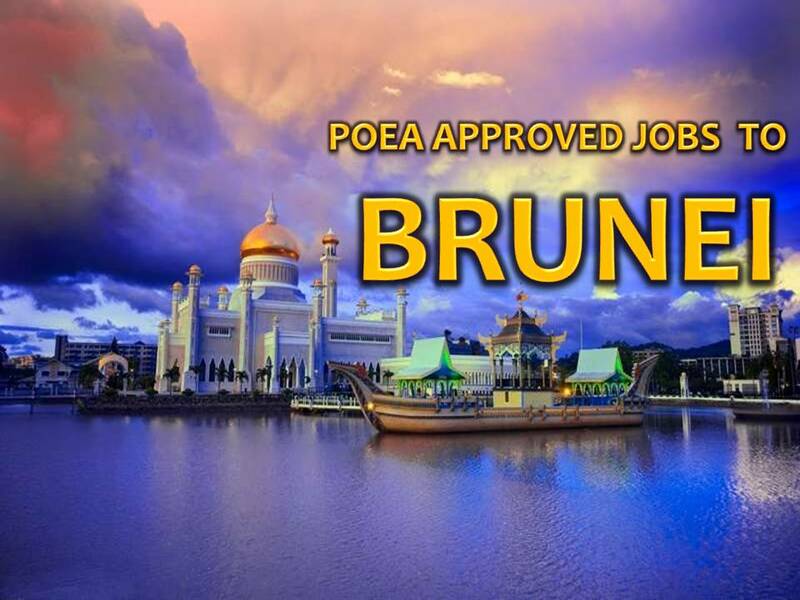 If you are interested, scroll down below to see the list of job orders from the website of Philippine Overseas Employment Administration (POEA).